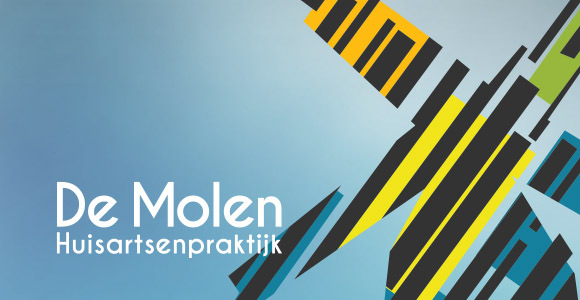 For the general practice ‘De molen'(windmill) I made a new brand design. This includes a new logo, business cards, the envelopes, letters and least but not last, prescription notes. The client stated that she likes modern art and she would like to see it back in the style. For example, I’ve been inspired by Kazimir Malevitsj: Suprametisme (1915) and other of his paintings. Those kind of paintings have a lot of random (it seems) stripes. And this is the mock-up of the products I designed for them. At first the client wanted to have dark grey bars at the bottom, but in the end they became a nice green colour. 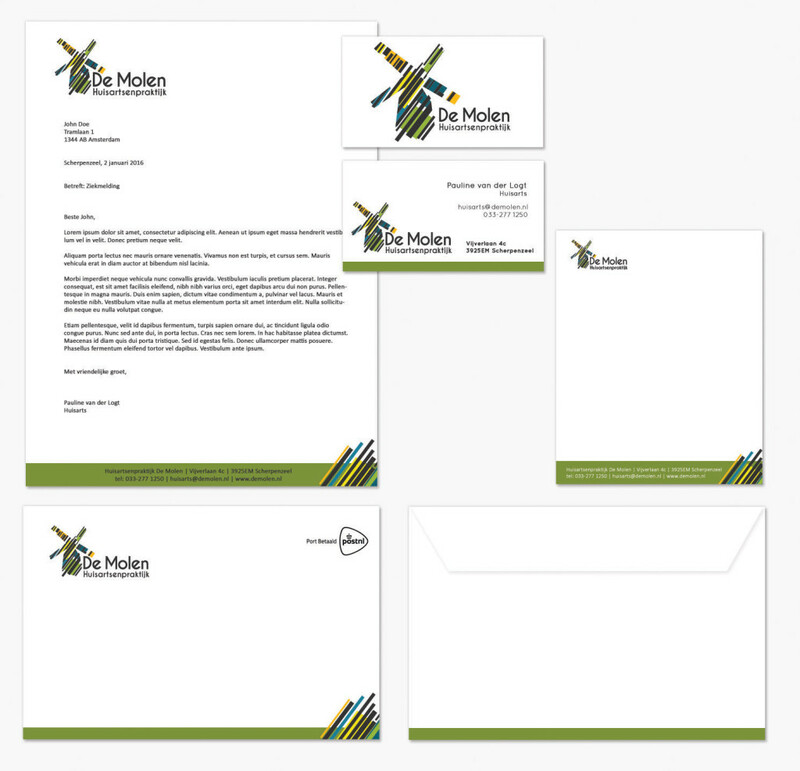 With on the letter, prescription notes and envelope I made some extra decoration in the style of the logo, to give it a bit more power.